Developers have noticed the climb of resort-style entertainment and pool areas to the top of the home buyers' list, as ever-increasing value is placed on lifestyle quality. 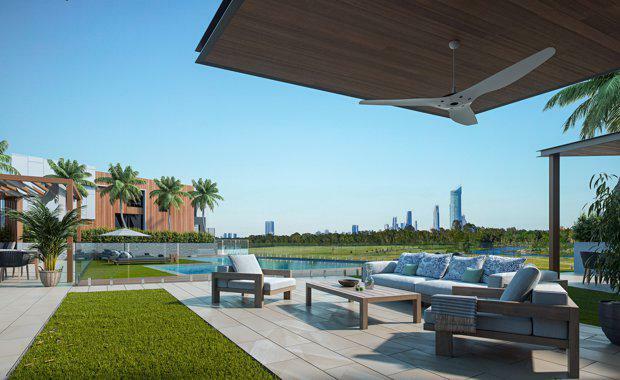 Robina Group Sales Manager Azura Griffen said the growing popularity of 'residential resorts' had influenced the design of the company's latest project - Vue Terrace Homes, which features an elevated pool and sundeck overlooking the expansive Robina City Parklands. A realestate.com survey last year revealed three of the top four outdoor features buyers sought in new developments were entertaining spaces (42 per cent), landscaped gardens with barbecues (26 per cent) and a swimming pool and sundeck (23 per cent). Ms Griffen said all three were a crucial part of the $170 million Vue Terrace Homes, situated at the heart of Robina on the Gold Coast. "The outdoor area is now seen as an extension of the home, so buyers are seeking the same level of quality and attention to detail there as they are in the interior design," she said. "As people live increasingly busy lives, the opportunity to relax in their own backyard is becoming more appealing. Best of all, in a community like Vue, these relaxation zones are maintained by a resident manager, which adds to the feeling of living in a 'resort'. "Ms Griffen said Vue Terrace Homes would include a central outdoor entertaining and relaxation area. "This space will feature a swimming pool, relaxation zones with in-built seating, and barbecues all weaved amongst grass, decking and tropical landscaping," she said. "The elevated deck also enjoys uninterrupted views to surrounding parklands, water and the Gold Coast City skyline. "Ms Griffen said the presence of a resident manager gave buyers the confidence the space would be kept to a high standard at all times. "Having the manager living onsite ensures a well maintained and harmonious community, which also helps to retain the long term value of homes," she said. Ms Griffen said more than half of the 71 three bedroom, plus media, terrace homes in stage one of Vue Terrace Homes had already sold, totalling more than $19 million. 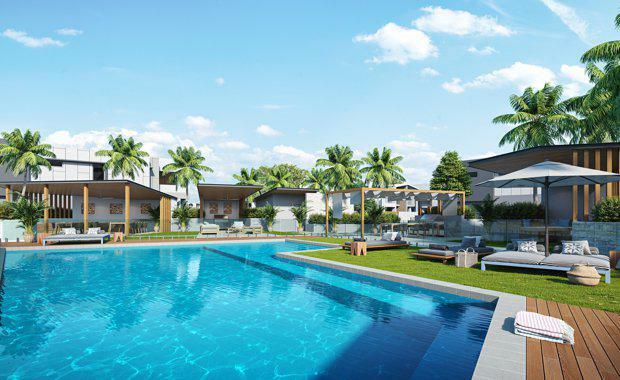 The six hectare secured gated community, on East Lane, features a fresh take on Robina Group's signature award-winning terrace home design, surrounded by the 17 hectare Robina City Parklands, and will be NBN fibre-ready on completion. "We have received strong interest from owner-occupiers, along with Queensland and interstate investors, since launching the project," Ms Griffen said. "The demand for homes in Robina is extremely high and buyers are finding Vue Terrace Homes represent exceptional value, particularly considering the homes are brand new with a modern and flexible design, European appliances and high quality finishes. "The location is also hard to beat, with a host of shops, restaurants, cafes, conveniences, parks, schools and public transport all within easy walking distance. "Construction is expected to start on Vue in the coming months.